Pascaline Fine Catering brings together the combined artistry and talent of several passionate individuals with an unrivaled depth and breadth of experience. Originally formed to develop custom events for a select group of prestigious wineries, Pascaline now offers these services to private clients who wish to create elegant and artful custom occasions. In an open and shared dialogue with their clients, Pascaline discovers and identifies the sensibilities and goals of both in order to craft an elegant party, wedding, or corporate event that ideally suits the hosts and guests. Founded by two, classically trained chefs, Didier Pascal Ageorges and Celine Plano, this collaboration sparks their creative minds. Through their mutual respect they build each menu to showcase their flair and well-honed abilities. 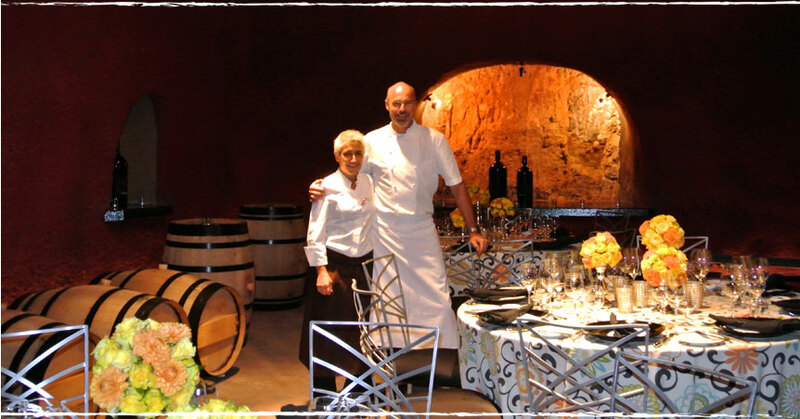 Whether an intimate dinner for ten, or a lavish, large event for 200 or more, each guest experiences the depth and breadth of Pascaline’s thirty years of combined training, tradition, and talent.